Trust is of the utmost significance in a crisis situation and today. Europeans are regularly told by the media and political leaders that they are facing a number of crises, such as the ‘security crisis’ or the ‘migration crisis’ because of an influx of refugees or a ‘social crisis’ because of the consequences of austerity in the wake of the ‘financial crisis’. 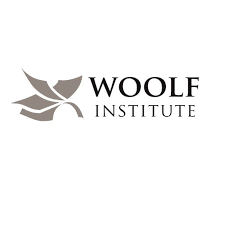 For this reason, the Woolf Institute undertook the Trust in Crisis Project so as to better understand how the experience of crises affected relations among communities – particularly those of faith and other minority groups – and the formation of trust. A team of researchers examined the impact of perceptions of crisis on community-based initiatives, cooperative action and local solidarity in Berlin, London, Paris and Rome from 2014–17. One of the key findings was that trust in the ability of local initiatives to respond to needs remains strong, indeed stronger, than in the state. Although each European city differs in its levels of historical welcome and integration of ethnic and religious diversity, a trend emerged: local initiatives responded to crisis in ways the centralised state could not, and often doing so across religious and ethnic lines. Our research has shown that trust can develop – and grow – at the grassroots, even during times of crisis. Indeed, our research indicates that the significant challenges faced by communities across Europe are resulting in new forms of citizenship mobilised through publicly-minded activism and capable of uniting seemingly disparate social groups across religious and ethnic divides. We identified and wish to celebrate the role of the ‘quiet citizen’ – an individual who contributes positively to her or his neighbourhood and community, often without recognition or attention, through the completion of ‘quiet work’ – local acts of kindness and generosity borne out of a shared sense of social responsibility. This ‘quiet work’ strengthens bonds of interdependency and friendship between citizens and social groups and, on a more practical level, is capable of addressing local needs more immediately and more effectively than national institutions. Indeed, without the contribution of the ‘quiet citizen’, many of us might find it hard to trust one another and to live peaceably.